The Music Monday concerts at Lake Theater and Cafe always feature great local talent. Dan Balmer plays Oct. 1, and you can hear Bre Gregg and Red Bird on Oct. 15. Get tickets now. 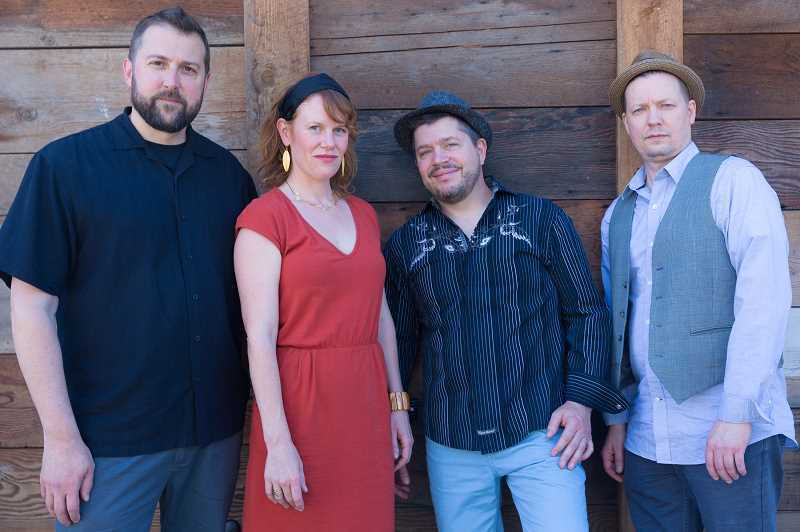 Soul and blues band Red Bird will celebrate the release of its album "All My Love" at the Music Monday concert Oct. 15 at the Lake Theater and Cafe. Red Bird singer Bre Gregg has been a regular on the Portland music scene for years, but her interest in many genres may well have confused audiences. Known for her extremely popular Bonnie Raitt tribute show at the Alberta Rose Theater, she has performed blues, soul, jazz, roots and Americana, but her signature powerhouse vocals — technically superb as well as raw and uncontained — are the qualities for which she is best known. Now, after years of searching, she has found her own sound — and it's good. Red Bird is a partnership between Gregg and guitar player Dan Gildea. They write the music, which features vocals and guitar and delivers a myriad of different genres in one funky, beautiful, bluesy and soul-filled package. Sounding like a combination of Bonnie Raitt, Joss Stone and Amy Winehouse, Red Bird deliver a rich pallet of emotion and sound. Backed by groove masters Jeff Langston on bass and Charlie Doggett on drums, they create a sound you can't help but feel. Tickets are $15 each or $80 for a VIP four-seat table closest to the stage. Purchase online at laketheatrecafe-com.seatengine. Lake Theater is located at 106 N. State St. in downtown Lake Oswego. Doors open at 6 p.m., show starts at 7 p.m.